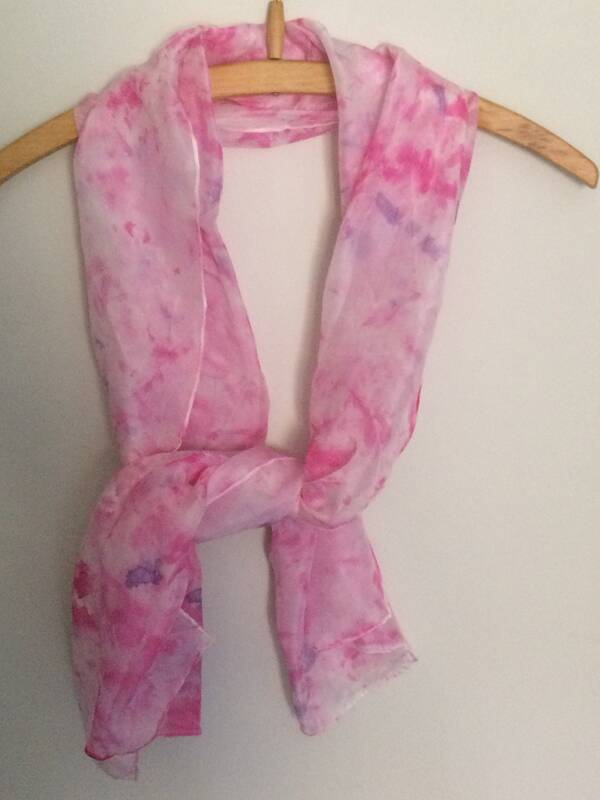 A silk scarf hand painted in a random pattern with pinks, a hint of purple and white. The scarf measures 15” wide x 55” long. 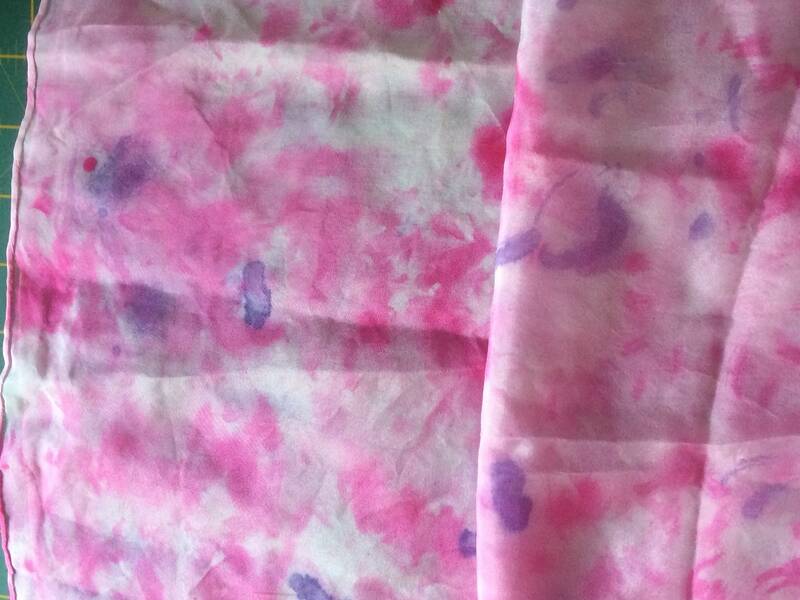 The silk is a lightweight silk pongs 5 and is perfect for spring and summer.